Oooh! A glimmer of something cute in the sea of mesh-infused fug this week is shaping up to be. Looks like a Mojave Tan/Black striped Forme. I'm really liking the look of this. I think she has the Mojave Tan 105F Singlet underneath. Unity Pullover. I'm not sure what pants are shown in the second photo. I'd guess Astros. 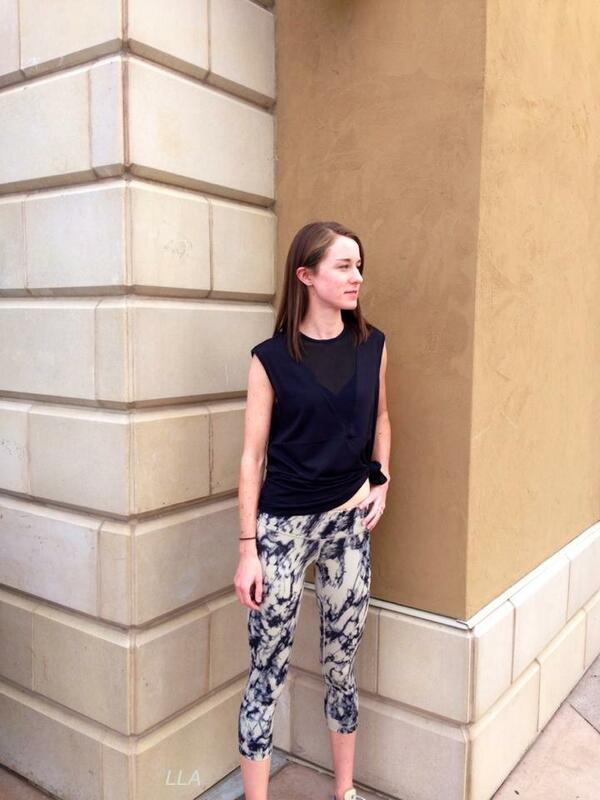 Meesh Tee and Breathe Easy Pant. 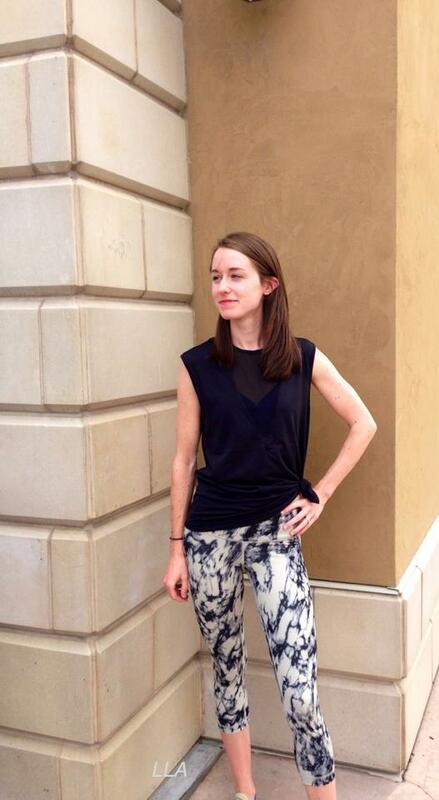 Lab Edge Tee and Great Granite Wunder Unders. Oh, my goodness. No words for this ugly, ugly stuff. Savasana wrap looks frumpy even on the model! I am sure that it will look terrible on most people including my petite but fit frame. I just don't get the fuss regardless of how soft and comfortable french terry is. Honestly I may be tempted to try if the colors were better. Dune and purple are too contrasty, black/blue are too dark and not contrasty enough imo. Workout clothes are not really something I buy a temperature season in advance. Im left a little listless looking at some of these pants, jackets, and monotone pullovers that I MIGHT be interested in the future. Hard to shell out $100 and up on unwearable items to place next to already owned cute past pieces in storage that im excited to bust out. Might not be the norm here though? Maybe its just typical jumping the gun on the retail climate. Lol at "mesh infused fug". Fug is right. Even more so after seeing Wanderlust goodies post. I bought a tie dye tank by Marika from Nordstrom Rack. I wear so much Lululemon I could probably get away with people (not the lulu addicts!) thinking it was Lululemon! For $12.97 ( on Marika website for $45) it was a bargain! Their Wunderlust bra sold on eBay for $255. That shows people want and are willing to pay for the good stuff this company is capable of putting out but doesn't anymore! Oh, my. What did they do to this poor Breathe easy pant? It looks atrocious. And now I remember why I didn't buy the Unity pullover when it first came out. I liked the design, but I hated the dishrag looking back. 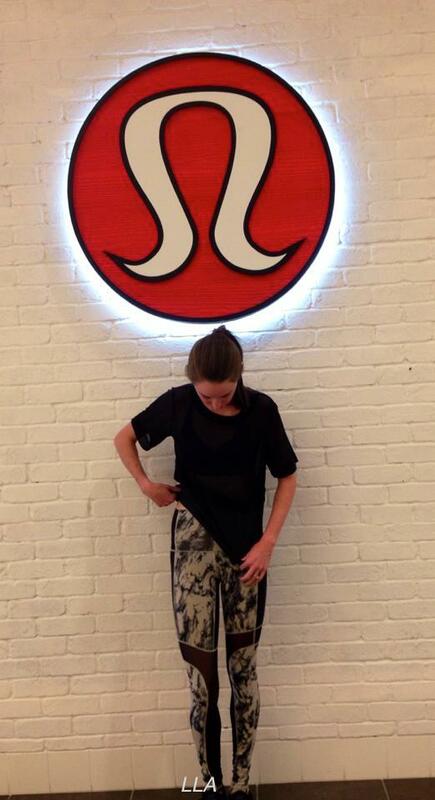 Why are the Lululemon designers so intent on using Tencel? Worst material ever and so cheap looking. Who is wearing this mesh stuff? Looks so inappropriate. Kinda like streetwalker wear from Fashion Police! @ anon 5:45 pm - I know, and it wrinkles if you just look at it. Yes we have a winner in the worst LLL pant ever: Breathe Easy Pant. I didn't think it was possible after those harem pants they had out last year, but apparently it is. @ 5:20 PM re: price Wanderlust bra went for on ebay. That person is so clearly insane, I'll just leave it at that.